While in route to Chicago for board exams, I flipped thought the SkyMall magazine to again find humor in the products being sold for foot pain. Of particular interest are those being marketed for patients with plantar fasciitis. It is clearly an epidemic in our society. 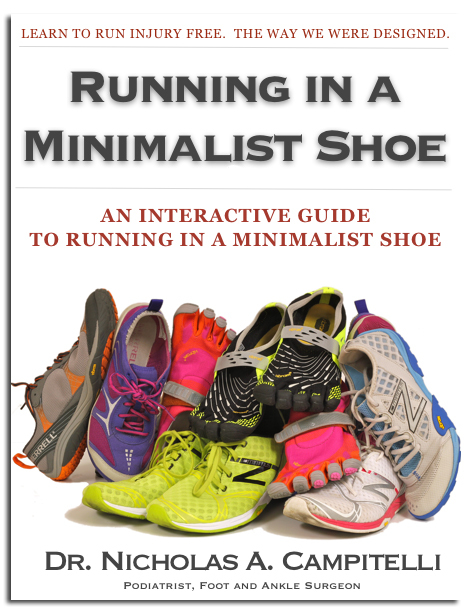 For those of you whom follow my blog, you probably already know my disgust with the shoe industry and how it leads to plantar fasciitis. With that said, I probably would not have a job if everyone listened to me!! I wanted to point out several of these propaganda products, as I call them, which will do nothing more then drain your pockets when it comes to treating this overuse injury. Well, I guess they can help to temporarily reduce the symptoms, but by no means are they a treatment. What is a treatment? Strengthen the foot. Learn to walk the way our feet and body was designed to walk, and don’t rely on supportive motion control shoe gear – especially you runners. 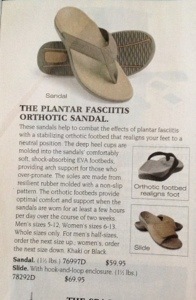 The Plantar Fasciitis Sandal. Nothing more then a $60 sandal with no fashion. May feel good at first, but only masks the underlying problem. 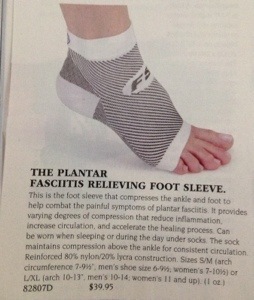 The Plantar Fasciitis Relieving Foot Sleeve. This is a 40$ sock. And, you only get one not a pair. How do I know? Because I have one. Well, I actually have two because the company is really trying to get me to use these! I won’t waste my time, or more importantly your time, explaining why these don’t work. Even though Spenco makes a great product in regards to an insole for resolving friction, I’m not quite sure this one will do what it claims – control motion, reduce pronation, and alleviate heel pain from plantar fasciitis. Remember, pronation isn’t all that bad if you let your feet work the way they were designed! 40$ that shock without fingers! I saw it yesterday on a Spanish running blog and I thought it’s just another marketing product. 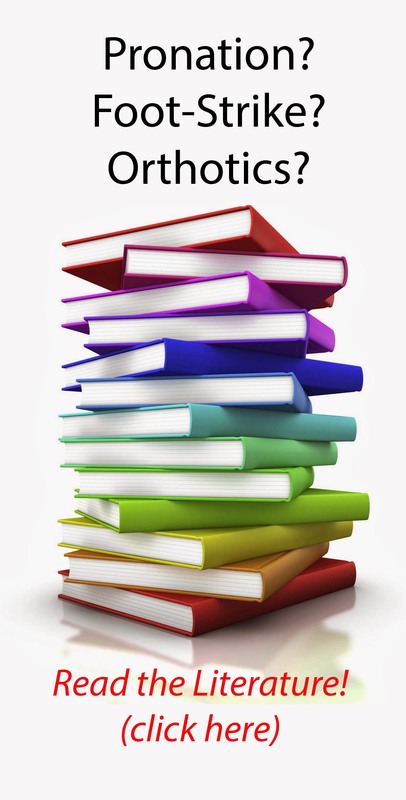 Thanks for your articles.